This week I continue my recap of publisher spotlights from the Romance Writers of America conference in New York with a look at the Spotlight on Sourcebooks. Editorial Director Deb Werksman started off the session with an introduction to Sourcebooks. Sourcebooks is based in Naperville, Illinois and has been around 27 years. Sourcebooks Casablanca is their romance imprint. They also publish nonfiction, children’s, young adult and general fiction. Sourcebooks is the largest woman-owned independent publishing house in North America. Sourcebooks publishes 8-10 mass market romance titles each month. They are open to working with hybrid authors, who want to publish both traditionally and independently. They are open to both established and brand new authors. Sourcebooks accepts submissions from both agented and unagented authors. Deb Werksman is interested in acquiring women’s fiction with a strong hook. On the romance side, she likes strong heroines and heroes and is open to all sub-genres, but don’t send her anything dark and depressing. Editor Mary Altman is interested in strong single-title romances, She likes all sub-genres of romance, but don’t send her women’s fiction or young adult. Associate Editor Cat Clyne. She likes all romance sub-genres, but especially romantic suspense and contemporary romantic suspense. She likes damaged heroes. For a look at the editors and their interests, go here. Part of the spotlight was devoted to talking about the process for making the cover for the book and the publicity and marketing that Sourcebook does for its authors, including a dedicated publicist for each author, author branding, print and online advertising, social media campaigns and ARCs to reviewers. Find out more about Sourcebooks here. Crimson Romance, a digital publishing arm of Adams Media, has issued a call for LGBTQIA* romances. They are especially interested in male/male romances. They are interested in both novels of 55,000 to 90,000 words and novellas 20,000 to 50,000 words. The focus of the story should be on the emotional and romantic relationship between the partners. For more information, go here. The fun continues with my free online read for Harlequin intrigue. Chapter Seven posted this week — only one more chapter to go. 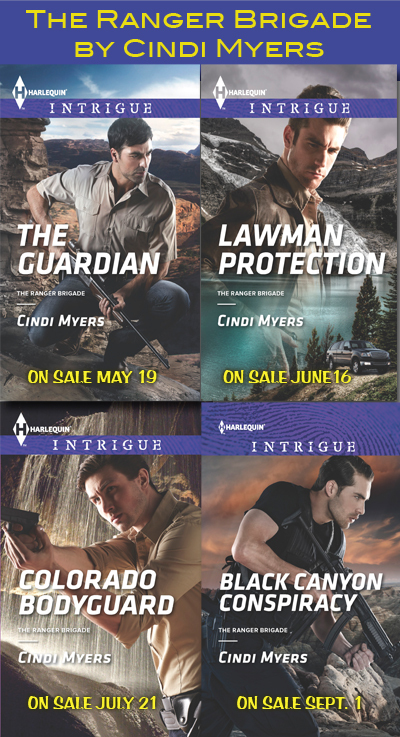 Black Canyon Betrayal ties into my Ranger Brigade series for Intrigue. Read the novella free here. Children’s publications Cricket and Spider have issued a call for stories about castles and knights. They’re looking for both historical and contemporary fiction that relates to the topic and welcome interesting twists on the theme. Multi-cultural stories and humor are welcome. Cricket appeals to children ages 9-14 and accepts stories between 1200 and 1800 words. Spider is for kids 6 to 9 and accepts stories between 300 and 1000 words. Payment is 25 cents a word. The deadline for submissions is October 26, 2015. For more details, go here. The First Line is a quarterly story publication with an interesting twist — writers are asked to submit a story based on a first line supplied by the magazine. Currently, editors are looking for stories with the first line “George pressed the call button and said, “Mrs. Whitfield, you have a visitor.” Stories should be between 300 and 5,000 words. Payment is $25 – $50. The deadline for submissions is November 1, 2015. Get all the details here.